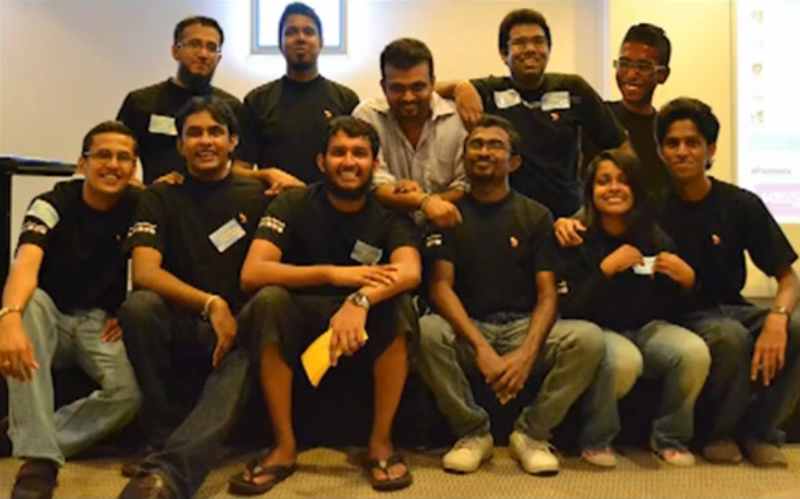 A small group of individuals accidently created the first Tweetup in Sri Lanka. It was when @udaraumd, @moshanthi and @rebelinpurple were discussing on Twitter about meeting up. A few others joined in tweeting to meetup in person too. 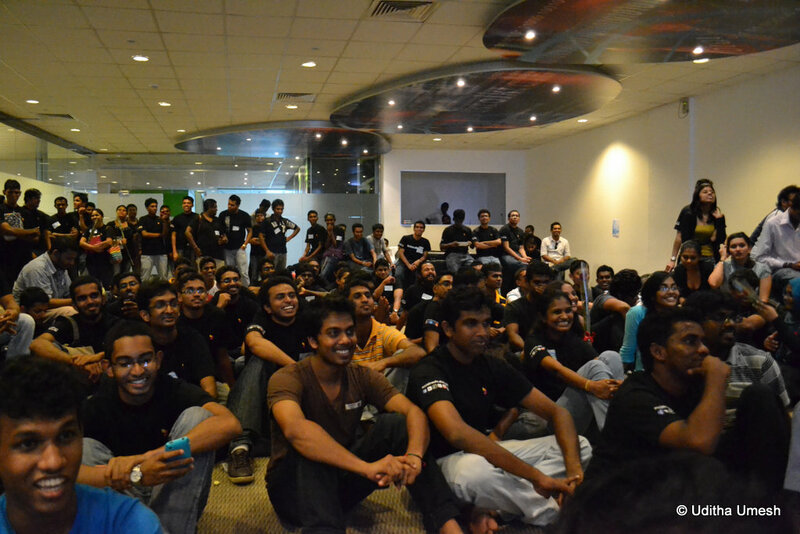 This ultimately resulted in having the first Tweetup in Sri Lanka with just over a hundred participating. That was 26th August 2010. Jump to 27th August 2011. Close to 300 participants turned up at Dialog Future World in Colombo. 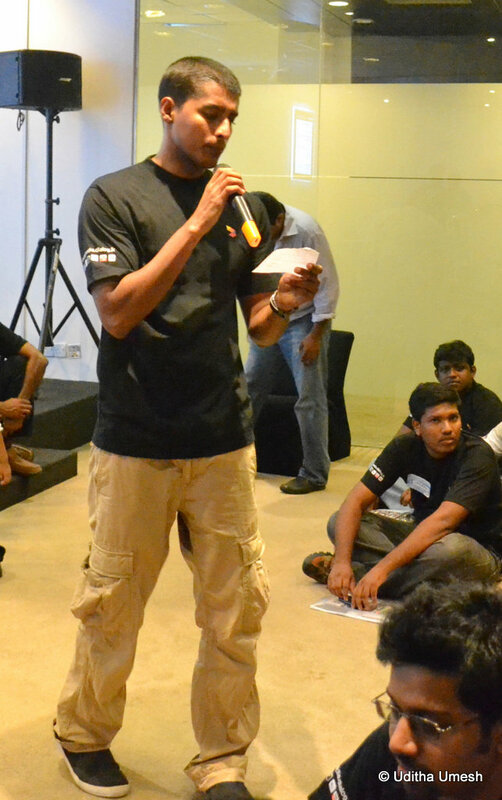 The organizers had really got themselves a role model concept with a dedicated Tweetup website with in-built apps to monitor reservations, hold interesting polls and also assign personalized t-shirts courtesy @dialoglk. @GBSlk provided a memorabilia too with a notebook (with DPs of most of the registered Tweeps printed on the cover) and @PereraAndSons provided a Rs 100 voucher for all who turned up. To feed all these hungry souls, @cocoveranda took on the responsibility and did a praise worthy effort. @ITNsl provided the media coverage. The event was compered by @HalikAzeez (aka Kamal Addararachchi in disguise) and entertained the tweeps throughout the event. So the cake was cut, the food was served and the tweeps had a great time meeting in flesh all the people behind the twitter handles. The organising team worked really hard behind the scene to prepare for the large crowd and it was an awesome team effort in the end. Organising team comprised of Amitha Amarasinghe, Gihan Fernando, Shazly Makeen, Nazly Ahmed, Muhammad Bin Nasir, Sarath Sathiamoorthy, Himal Kotelawala, Milinda Tillekeratne, Indulekha Nanayakkara, Lasantha David, Udara Dharmasena. Although social media is still not used as a major component of marketing in Sri Lanka, events such as this would certainly open up the eyes of the companies that are still putting in big budgets on traditional media. Compared to last year’s event, this year had many more sponsors involved and they have all been very generous in assigning various gifts/giveaways since they know the importance of these twitter individuals who are trend setters in their own rights. With Sri Lankans crossing 1 million mark on Facebook just a few weeks back, it seems that twitter is also fast becoming a platform to get customers involved as can be seen with a number of large companies being actively involved on twitter having a dedicated team to listen and respond to queries (such as @dialoglk, @Pereraandsons). Once the event concluded, the enthusiasm did not run dry as the #TweetupSL hashtag kept appearing on the timeline frequently. The event also opened up the accounts of some twitter users who had earlier had reservations about following the unknown. With more followers and followings, the experience for twitter users in Sri Lanka will only get better and could create a platform for many more users to join the twitter platform. With technology and devices becoming cheaper in the country, it can be certain that these trends will only get better and whatever platform arrives, there is a surely a crowd that wants to ride it. Look forward to TweetupSL3 and I have a feeling that we might need to book BMICH to accompany the expanding tweeps.